Saint Oswalds Church has parts dating back to Norman times and features a wonderful Norman archway across the Chancel dating from the 1100s. 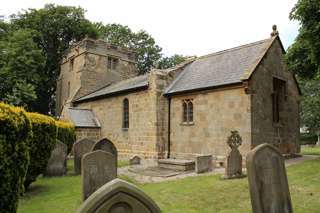 The chancel was rebuilt in 1827 and the Temple Moor tower added in 1901. The GPR holds 89 grave and 207 person records for the burial ground.